Arguably the most important figure in the transmission of Buddhism to the West. 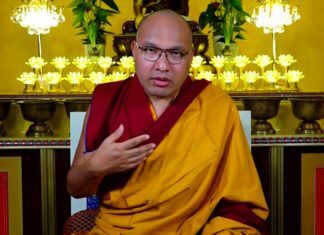 In my view, the history of Chögyam Trungpa in the West is analogous to that of the eighth-century Indian Buddhist master Padmasambhava, who was principally responsible for bringing the complete teachings of Buddhism to Tibet. Likewise, Chögyam Trungpa is arguably the most important figure in the transmission of Buddhism to the West—through his activity, speech, and writing, the power and compassion of the Buddhist path of enlightenment have been clearly presented. I once heard Chögyam Trungpa Rinpoche describe his “family business” as “caring for others.” During his lifetime, Chögyam Trungpa presented himself in many different forms: as a monk, a married man and father, a crazy wisdom yogi, a university founder, an artist, a monarch, and so on. In Sanskrit, a man like Trungpa Rinpoche is described as a mahasiddha—one who not only has achieved great accomplishments through practice, study, and realization, but who has also transcended the bounds of ordinary social expectation or behavior. In the Buddhist tantric tradition, a mahasiddha is an individual that manifests in order to reveal the ultimate truth for the benefit of anyone he or she encounters, through their activity, through their speech, and through the profundity of their mindstream. It is said that it doesn’t matter if the person meeting the mahasiddha is attracted or repelled. In the Indian tradition of Tantric Buddhism, there are many accounts of these iconoclastic masters called mahasiddhas. The most well-known have been collected in The Lives of the Eighty-Four Mahasiddhas, an assemblage of life stories both revered and studied by Tibetan scholars and practitioners. Many of the great teachers of Tibet are considered to be emanation rebirths of these mahasiddhas. In fact, Trungpa Rinpoche is traditionally considered to be an emanation of the mahasiddha Dombi-Heruka. The biographies of these mahasiddhas present extraordinary examples of enlightened behavior that not only transcend duality, but also avoid the ordinary norms of materialism with activities that might seem, to the uninitiated, both outrageous and miraculous. 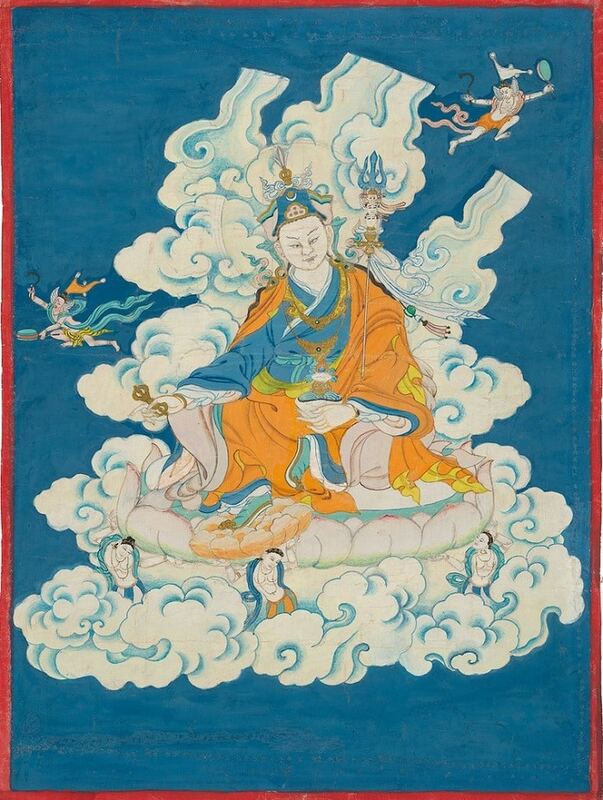 Even though Padmasambhava and the mahasiddhas lived at another time, in another place, if one understands the timeless realities and truths of their essential natures, one can also realize that it’s entirely possible for such beings to exist in different cultural contexts. It is my belief that Trungpa Rinpoche is one of the great mahasiddhas of our time. Like the mahasiddhas of the past, he transcended the ordinary bounds of social convention, sometimes employing outrageously innovative means to encourage others to realize fearlessness, compassion, and ultimately complete enlightenment. The Buddhist teachings emphasize that we should not look outside of ourselves to discover the truth. I often heard Chögyam Trungpa repeat this point to his students, urging us not to look to him or any spiritual teacher as a savior. The seventeen years that Trungpa Rinpoche taught in North America were like a golden age. What he was able to accomplish and inspire others to accomplish was completely magical. His love of life and honesty about the human condition provided fertile ground to plant the seeds of Buddhadharma. — from the Publisher’s Afterword of DRAGON THUNDER: MY LIFE WITH CHOGYAM TRUNGPA by Diana J. Mukpo with Carolyn Rose Gimian. © 2006 by Diana J. Mukpo and Carolyn R. Gimian. Used here by arrangement with Shambhala Publications, Inc.